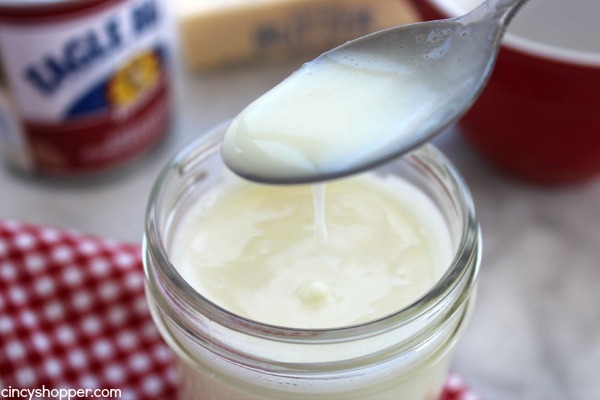 Were you aware that you can make Homemade Sweetened Condensed Milk with just three simple ingredients? 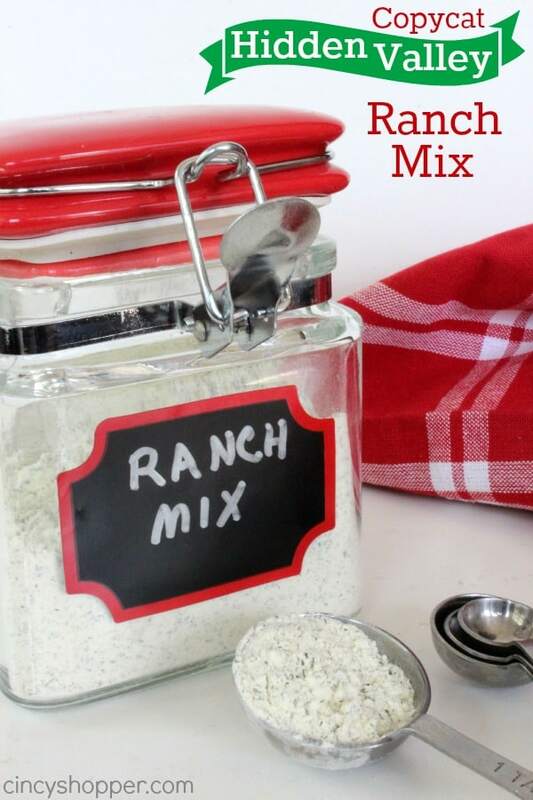 Making homemade is so easy and is perfect when you are in a pinch. No need to rush to the store for a can. If I had a dime for every time I have looked in my pantry for a can of sweetened condensed milk to find that I am totally out, I would be a wealthy woman. 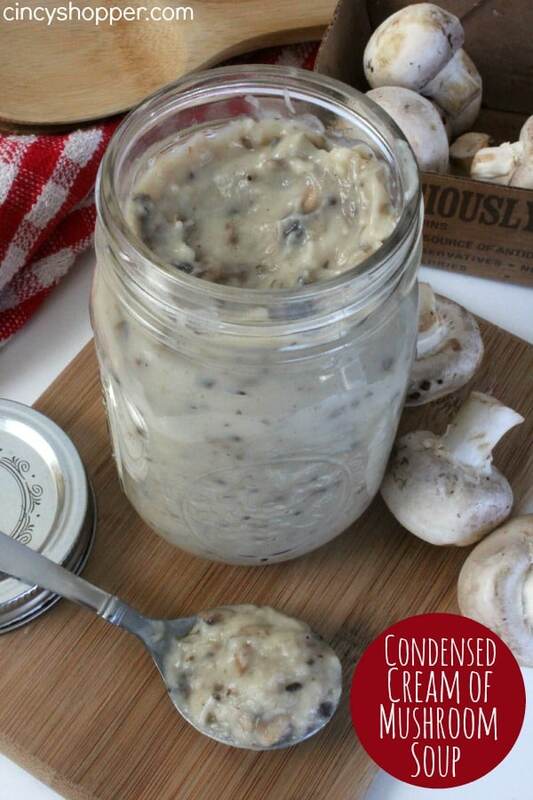 A few weeks back, I was making some Homemade No Churn Oreo Cookie Ice Cream and did not have any sweetened condensed milk. I was totally bummed because it was too late to run to the store. What was a girl to do? 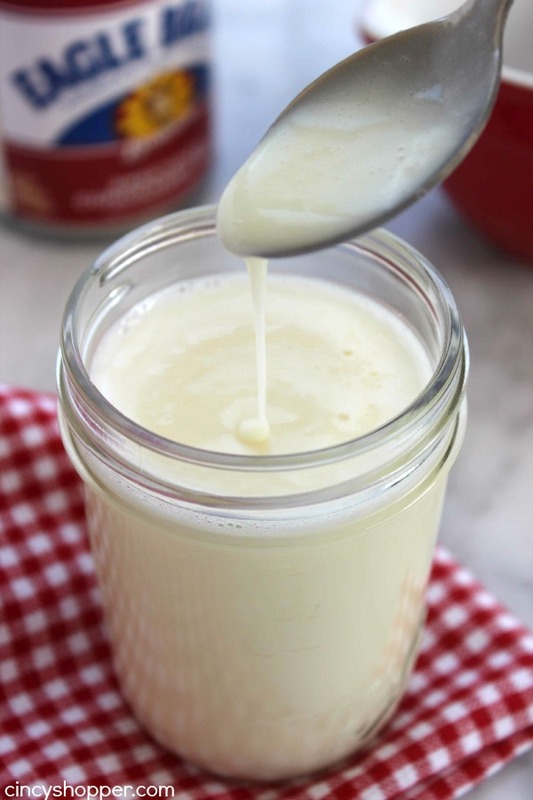 It was time to make some Homemade Sweetened Condensed Milk so I could finish off the kids cold treat and get it in the freezer. 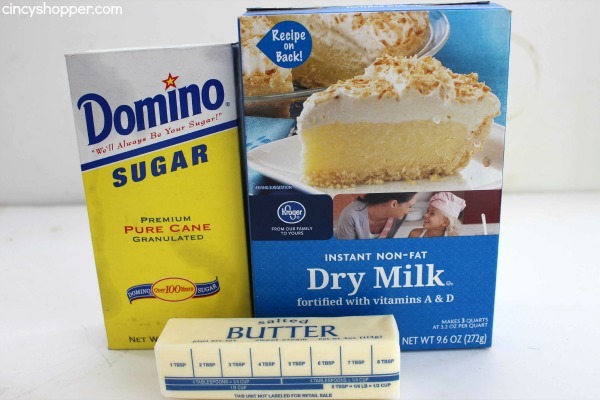 Since making sweetened condensed milk only requires dry milk, sugar and butter, I had everything on hand. I always like to keep my pantry stocked with dry milk because it has come in handy many of times. 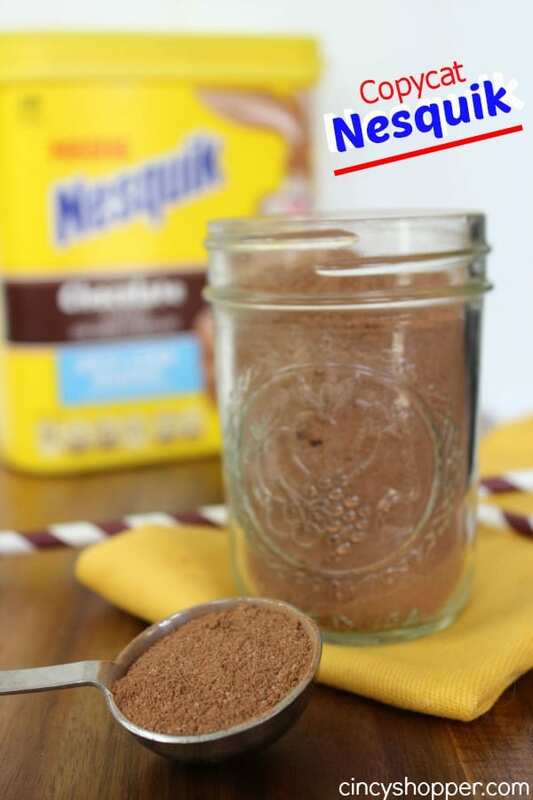 Combine all ingredients in a blender and run until mixed (scrape down sides as needed). Can be stored in sealed jar in refrigerator for a week. I was amazed how close this homemade version turned out. It tastes just like the stuff we buy in the cans. Plus it saved this girl from a trip to the store. 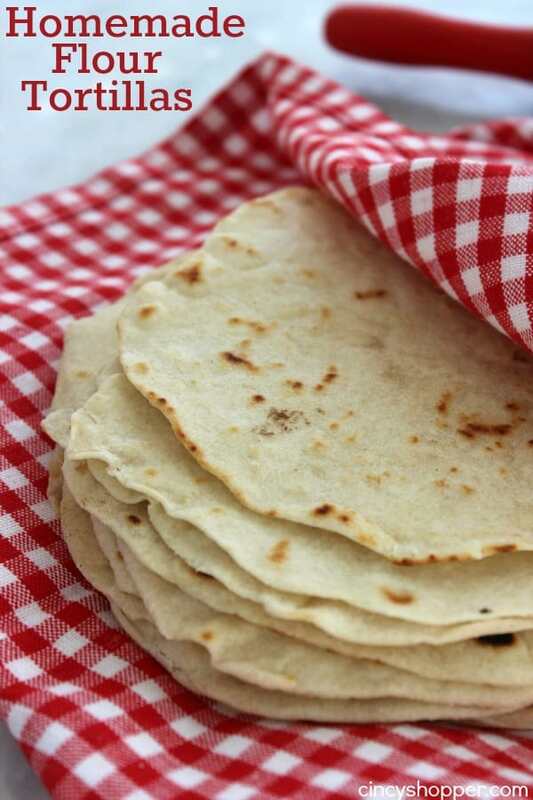 Having recipes for simple homemade ingredients is perfect. 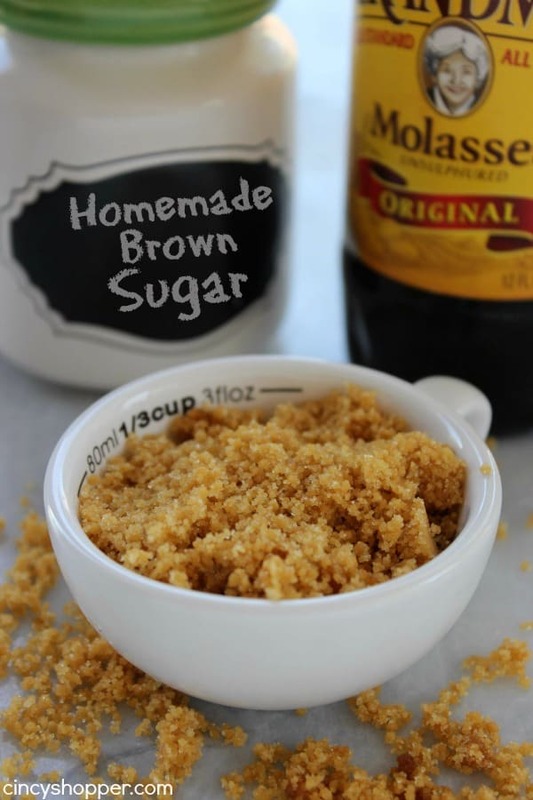 Do you have a favorite pantry staple recipe that you use often when you run out? I had to stop by and check out this Sweetened Condensed Milk. It is one of my favorite things ever. YUM! Thanks for sharing! Thank you also for stopping by Wonderful Wed. blog hop. This is great! Just wondered – how much does this recipe make? Wondered if it was more than the 14 oz. size can of store bought? Thanks for the reminder of this handy hack! 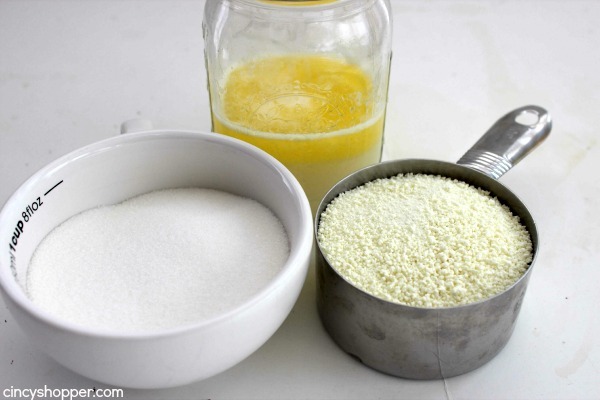 :) Sweetened condensed milk is one of those “miracle” ingredients that can’t be replaced with something else. When you need it, you need it! Thanks for putting this easy copy back on my radar…visiting from Motivation Monday! Oh my you have just saved me so many trips to the store! I always seem to run out of sweetened condensed milk, especially in the fall and winter. Lots of amazing delicious things to make :) But now I don’t have to wait to make them! This will be a lifesaver for those times I realize I’ve run out and don’t have time to run to the store! I avoid cans because of the BPA issue so I’ve always avoided recipes that use sweetened condensed milk. I was so excited to see this recipe so I don’t have to do that anymore! Plus it natural ingredients and could easily be made organically. Thanks so much! Can it really be this easy?!? I’m so loving this! I can’t wait to give it a try. Would love for you to share over at tonight’s Throw Back Thursday party! I love this, it will come in handy as we are addicted to your ice cream recipes! Pinning, thanks so much! 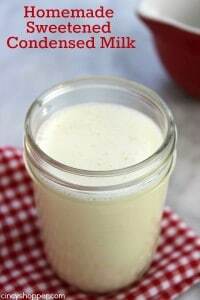 I make my own Sweetened Condensed Milk all the time I started out using the butter in it and one day decided to try Coconut Oil and it tasted so good never went back to butter, I use it making my own Vanilla Coffee Creamer . Thanks for all the recipes love trying out new ones. I never knew this was so easy to make yourself! Thanks for linking up with Merry Monday – I’m pinning this to our party board. I looked all over the internet for an acceptable substitute for sweetened condensed milk this past week. THIS one is perfect. 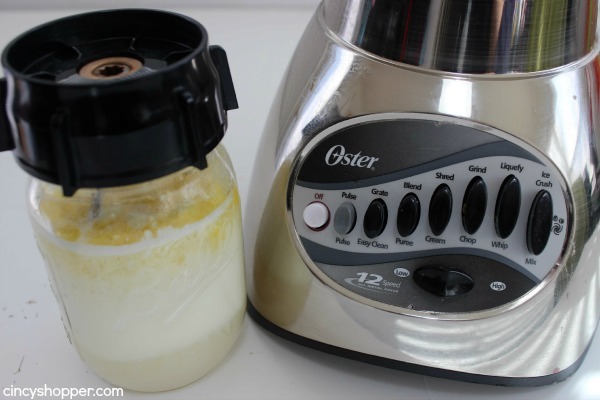 I wanted to reduce the carbcount in a recipe using the canned milk — which is 168 grams per cup. Your recipe comes out to 68 grams of carbs per cup. Big difference and this one is so much easier than other substitutes I found. Woohoo! Thank you. Pinned. I love sweetened condensed milk and have always gone with Eagle Brand. I’m curious how homemade compares! !